The recent and despicable killings of Charleston church members have brought about renewed pandemonium over the flying of the Confederate flag. The concerns from Black America’s perspective are legitimate, but with reservations, in other words are African Americans being a bit disingenuous about the issue. Consider the fact that many African Americans, without hesitation, think absolutely nothing of using a term that dehumanized and objectified their ancestors, the n-word n**ga, and now refer to it as some so-called term of endearment. Have put it to music shaking their booties to the beat of n**ga, n**ga, n**ga. How disgraceful, contemptible and shameful can one possibly be by showing so much DISRESPECT relative to the struggles, sacrifices, trials and tribulations of their ancestors…and yet have the audacity to point fingers at white folks and the flying of the confederate flag. Excuse the cliché, but isn’t this the same as the pot calling the kettle black? And please, let’s stop insulting one another’s intelligence with the “a” vs the “er” nonsense, n**ga is ghetto vernacular for n**ger, same as brotha – brother, sista – sister, etc. Not all Black African Americans use the pejorative n-word, however, far too many who don’t use the term condones use of it by others, refusing to speak out against its use makes them an accomplice and no different from the actual users. Their silence implies that all Black Americans approve use of the term, leaving a wrong and misleading impression. There are many young Black Americans who too assume that all black people use the term, which is why many of them don’t even think twice about using it, they assume it’s the natural and normal thing to do. The n-word is a racist term used to define black people, and when another people interjects words into you such as the n-word, it becomes more than a label it is a full descriptive; the word, descriptions are related and associated with each other. Thus, when the person accepts the label they are accepting the total descriptive thing (sub-human, 3/5 a person, bestial savage beast), and when those words become common place in the brain they incarnate and coordinate the chemistry and physics of the body affecting attitudes and behavior patterns. In other words the n-word to our ancestors was far more than a slur, it was an exclusion from God a condemnation to Hell. Never in the annuals of known history, until the advent of chattel slavery, were any species of humankind known to be treated with such brutality and contempt. To add insult to injury, their 21st century descendants, incredibly and shamefully now use the term that dehumanized and objectified them—as some so-called term of endearment. In this 21st century history is repeating itself through the self-destructive lyrics of rap music. The impressionable young minds of our Black youth are treated as garbage disposals, dumping anything and everything into it that’s debasing—ALL for the almighty dollar—simultaneously promoting criminal behavior; and it’s happening with the blessing of the Black community since the group collectively refuses to put its foot down and say enough is enough. Control of the precious minds of Black youth have been handed over to money-hungry rappers and indifferent comedians, actors and actresses, while the intelligentsia, ministers, community leaders sit back and have done ABSOLUTELY nothing to stop it, this habitual practice of self-inflicted cultural genocide have the rest of the world looking on in complete bewilderment. Such naive, mouth gum flapping comments as we are re-claiming the word, we are taking the power out of it insults the intelligence of any cerebral thinking person. It makes far more sense to talk about re-claiming your stolen history as opposed to laying claims to a word that dehumanized and objectified your ancestors. Clearly, except to those who refuse to see, the polemical n-word indubitably is in control and not the other way around. Thanks to the senseless and asinine global promotion and marketing of the n-word, everyone and their mother all over the world now mockingly uses the term. The barely conscious will argue that there are greater things to worry about. But I ask you: What is a greater concern than the demolition of a people’s image on the world stage? If there was such a thing as a Dummy of the Century Award, those Black Americans complicit in the global commercialization of the n-word would win it by unanimous decision. Attention needs to be drawn to the fact that among the black intelligentsia use of the term sanitizing is always lurking about; if we are going to incorporate use of the term one must have the mental resolve and intestinal fortitude to expose how Black history in general is being sanitized and censored as it pertains to the mobility and uplifting of the psyche of the black race; otherwise, they should smartly refrain from speaking about how the n-word shouldn’t be censored or sanitized, which inimically serves as a self-refueling, self-generating psychological conduit to mental enslavement. 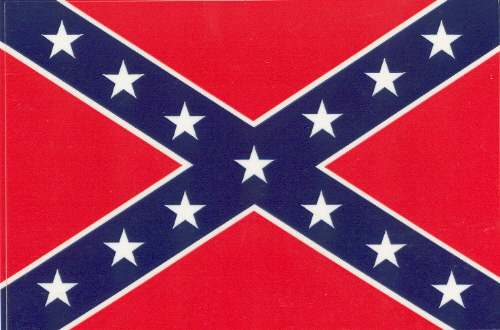 Granted it must be acknowledged that the flying of the confederate flag is an affront to present day Black America and the African-American Holocaust, but it would be disingenuous to overlook the salient fact that Black African-Americans embrace of the immoral and vile n-word is equally offensive and disrespectful to the victims of the African-American Holocaust an issue that need to be addressed and not ceremoniously dismissed. Hey Buddy!, I found this information for you: "Black America’s Hypocrisy over the N-word and Confederate Flag". Here is the website link: https://blackmeninamerica.com/black-americas-hypocrisy-over-the-n-word-and-confederate-flag/. Thank you.